It may be a long stretch from the “great ideas in the history of man,” to a modest history of Michigan Urology but I hope you allow Matula Thoughts some slack and accept this belief in regularly rearticulating the past for each cohort of our successors. French explorers, beginning with Étienne Brûlé, around 1610, Samuel de Champlain, and later René-Robert Cavelier de La Salle, attempted to colonize the regional home of the Cayuga, Mohawk, Oneida, Onondaga, and Seneca who comprised the Iroquois Five Nations. The Tuscarora joined the confederacy in 1722 to become the Six Nations that eventually were overwhelmed by Europeans. Detroit rebounded from the fire and was on the upswing when The War of 1812 broke out and the town, indefensible, surrendered to the British on 6 August. An attempt to regain Detroit by General William Henry Harrison failed in January 1813, but on 10 September Commodore Perry’s fleet of nine small ships defeated six heavily armed Royal Navy ships on Lake Erie and returned the city to the United States. One quarter of the recruited American soldiers were African American. The British retreated up the Thames River in Canada, where the decisive Thames Battle on 5 October turned the tide against Great Britain and Tecumseh’s Confederacy (recounted here in Matula Thoughts last year). This story is a prelude to the University of Michigania, organized in Detroit in 1817. Hourglasses turn the ephemeral notion of time into physical reality. The grains of sand are elementary chemicals assembling by physical rules into worthy objects, stardust like ourselves. Laws of chemistry and physics that created stardust are durable and universal. Human rules are fungible and we hope that representational government and good leaders bend them to fairness, allowing redress when rules are improper, archaic, wrong-headed, or harmful to the public good. All sorts of rules, federal, state, local, professional, organizational, sectarian, familial, and personal ones constrain us, and sometimes they seem to come out of the blue as with presidential directives. Lincoln’s Emancipation Proclamation, considered here last month, and FDR’s Executive Order 9066 raise the issue of these curious sidebars of American law. A report of the Library of Congress, Congressional Research Service, by legislative attorney John Contrubis (updated March 9, 1999) explains the origin and usage of these two “Presidential instruments” (below). The Constitution provides no explicit authority for executive orders and proclamations, although Article II states: “the executive power shall be vested in a President of the United States,” “the President shall be Commander in Chief of the Army and Navy of the United States,” and “he shall take care that the laws be faithfully executed.” Dogmatic originalism, might then argue to exclude the Air Force from presidential authority, or stipulate that a president execute all laws faithfully to their letter (rather than broad interpretation of Constitutional intent), or that a president must be a “he.” Such pedantic exercises unnaturally infuse human rules with an immutability similar to natural laws of chemistry and physics. Lysekno. Civic laws can cast long shadows that undermine education and science, setting human laws and policies at odds with the natural world. The Trofim Lysekno (1898-1976) story is a cautionary tale. That Russian biologist rejected Mendelian genetics and proposed his own theory of environmentally-acquired inheritance, offering experimental results with improved crop yields by his methods (unverified by others) and convincing Joseph Stalin to embrace Lysenkoism nationally. Soviet scientists who opposed the idea were dismissed from their posts, if not killed as “enemies of the state.” [Fitzpatrick S. Stalin’s Peasants: Resistance and Survival in the Russian Village after Collectivization. Oxford University Press. 1994. p. 4-5.] Forced collectivization and famine followed in the 1930’s, but Lysenko’s political power consolidated and in 1940 he became director of the Institute of Genetics of the USSR Academy of Sciences. In 1948, scientific dissent from Lysenko’s theory was outlawed. Lysenko died in Moscow in 1976 with only brief mention in the daily national newspaper. His politically enforced scientific pseudo-science had tragic consequences for millions of people in Soviet Russia. Lysenko wasn’t the first to consider the effects of environment on inheritance, Lamarck (1744-1829) had that thought much earlier. Open scientific give and take has since shown that Mendelian and other genetic processes are indeed influenced if not largely regulated by epigenetic factors. Science works well, but not when corrupted by ideology. Eradication of the gerrymander is one of democracy’s existential necessities. This problem is exacerbated by the algorithmically-targeted misinformation made possible by personal data mining. This perversion of free speech is dramatized in the Netflix film, Brexit. Maybe stepping aside as chair (I don’t think of it so much as “stepping down” or a loss, but I am truly pleased to have Ganesh Palapattu pick up the challenges, present and ahead) gives me too much time for lingering walks and gratuitous thoughts. Framed by all the larger problems of the world (geopolitical conflict, terrorism, poverty, widening inequality, economic unpredictability, environmental degradation, infectious diseases, and other existential threats) one must wonder: can we humans successfully control our own destiny? If so, some structure and rules are obviously necessary for 7 billion people on a small planet, but will the structures and rules revert to ancient painful models of authoritarian rule and pyramidal hierarchy, or could they tilt toward libertarian, laissez-faire, or anarchistic models although those have never proven successful at large scale? The question is not merely rhetorical, it is existential and an answer needs to be found between those extremes, within some central range. How we find, set, and reset that optimal place in our laws is the ultimate political question. Representational democracy, even as terribly imperfect as it is, seems to offer the best framework to balance individual freedom and happiness with optimization of societal function, human destiny, and planetary sustainability. This same dilemma of governance, structure, and rule-setting is recapitulated in localities and large organizations, even that of Michigan Medicine. These may seem strange Matula Thoughts for the moment and solutions are beyond the wisdom of this writer, but with 7 billion points of wisdom, good answers should abound. Lingering walks through history halls can help. The original title was two words, Star Dust. Astronomers have learned much about the topic since Hoagy’s day: the elements of stardust larger than hydrogen and helium up to the size of iron required solar furnaces for their creation, but larger elements required the greater manufacturing complexity of supernovae. The fact that life is literally made of stardust is not just a figure of speech, the stardust of a song is a lyrical metaphor of a higher order of magnitude. Lying somewhere between cosmic stardust and its human incarnation is the daily work and politics of humanity, and these have been the focus of matulathoughts.org. I came to Ann Arbor in 1984 from Walter Reed and the U.S. Army at the invitation of Section Head Ed McGuire, who very positively impacted the world of urology and myself. I inherited the stewardship of Michigan Urology from another great urologist and our inaugural chair, Jim Montie. 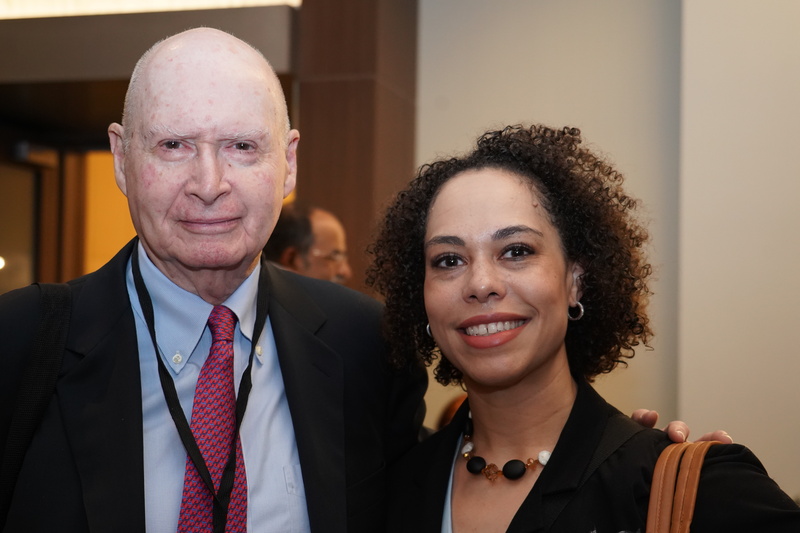 Previous leaders of urology at Michigan educated superb urologists from Nobel Prize winner Charles Huggins and Reed Nesbit, the first section head, through Jack Lapides who trained another splendid cohort, including Hugh Solomon whom we often see at Grand Rounds. [Below, Hugh and Jim.] Following Jack, we had Ed, Joe Oesterling, Bart Grossman, and then Jim. They all brought things to the table, so to speak. My appreciation is profound to our faculty, staff, Nesbit alumni, and friends of the department. You have made my time as chair a joy. 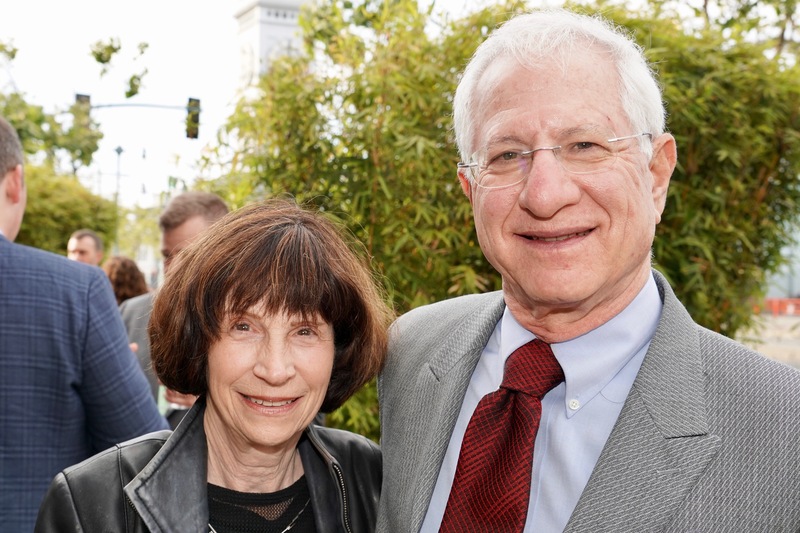 Sandy Heskett has been with me from the start of my administrative duties in Allen Lichter’s dean’s office and she has somehow dissolved the problems of each day and kept our department as well as your old chair on track. 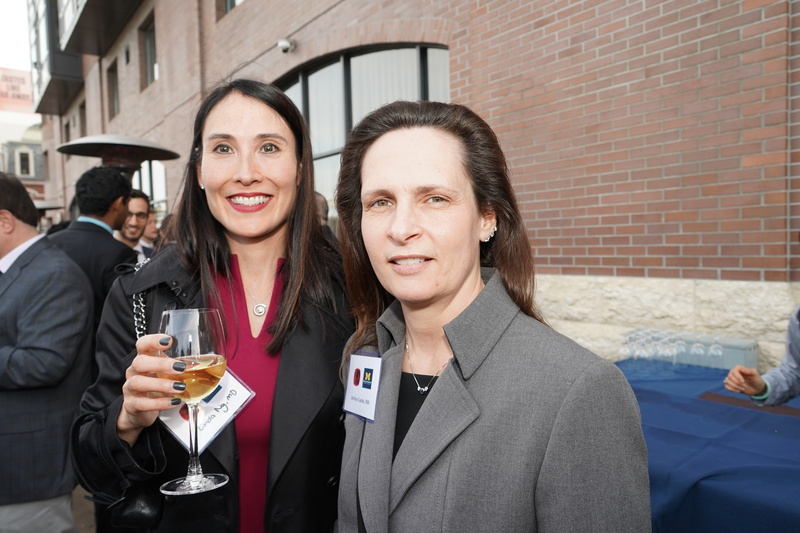 Jack Cichon and Malissa Eversole have been incomparable in their work and loyalty to our team. Thanks, too, to my colleagues and friends on the faculty, in the Dean’s office, and on central campus. It has been a great run for me, but it isn’t over yet. We appreciate your interest and will be back here on the first Friday of March at this website: matulathoughts.org. and meanwhile encourage any comments from you. Colors explode as summer opens up in June around Ann Arbor. 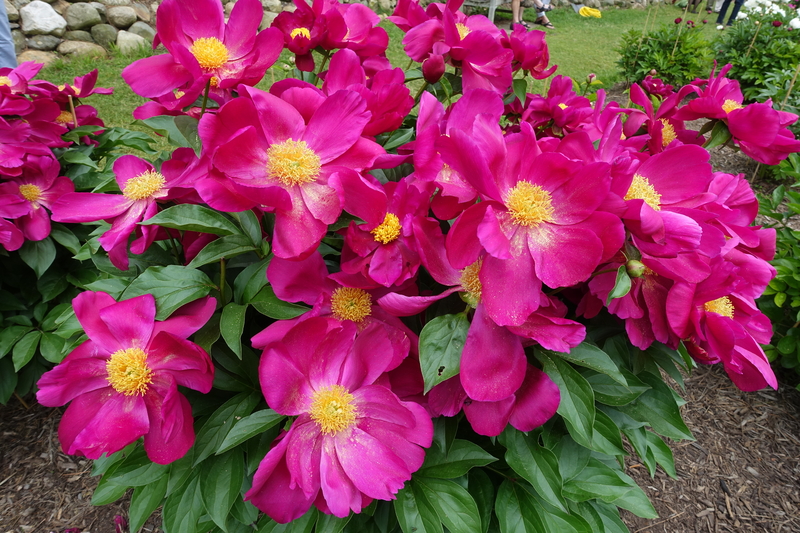 The visuals are unsurpassed in the UM Nichols Arboretum Peony Garden, adjacent to Mott Children’s Hospital. 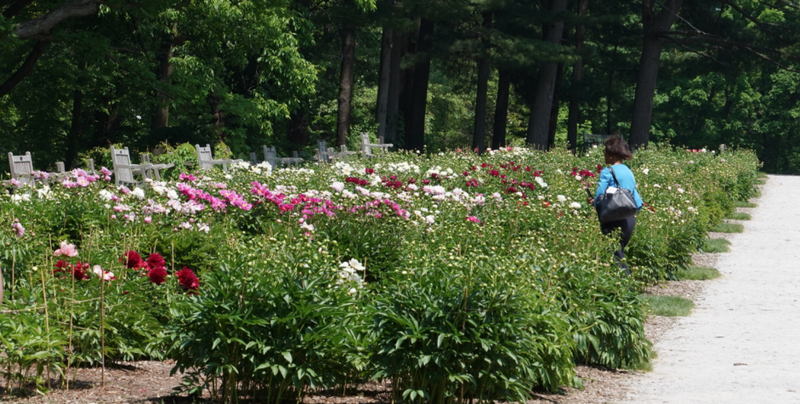 The garden is a few years short of a century old and derives from Dr. WE Upjohn’s flower collection (pictures above and below, May 29, 2018). Doctors in training don’t get summers off, they have full 12 month cycles of education, with one random month for vacation, and our new cohort begins its turn next month here in Ann Arbor. [Above: Grand Rounds.] Time has framed graduate medical education in urology since the formalization of the American Board of Urology in 1935. Urology trainees at Michigan spend five years of postgraduate training after medical school, shorter than my time of residency at UCLA, although residents today are increasingly likely to put in additional years for fellowship training. The idea of “duty hour” limitation was a reaction to a few bad training programs that exploited residents, and the 80-hour work week is the national standard for residents in training. Another quantitative constraint is the concept of minimum numbers of specific operative procedures. A qualitative dimension of regulation, educational milestones, was implemented within the last decade. 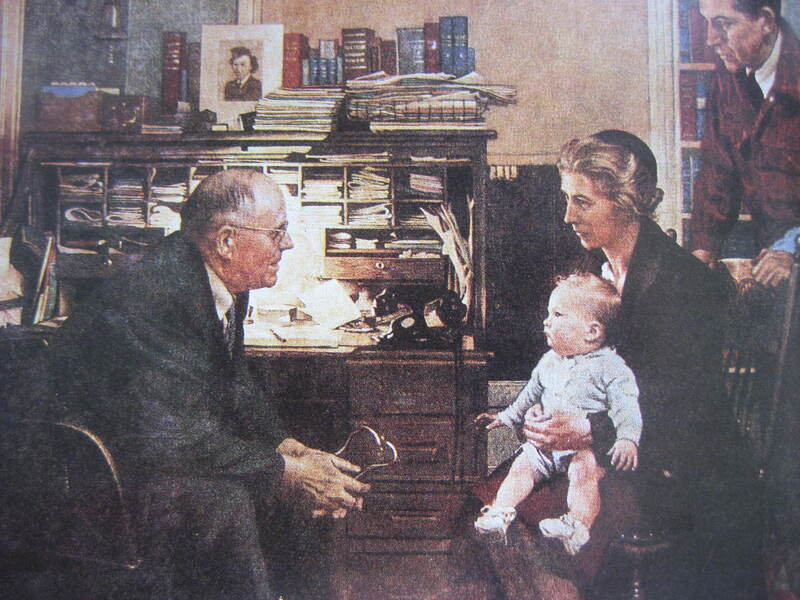 Milestones reflected the enticing idea that GME should not routinely progress only according to clock, calendar, and case numbers, but according to acquisition of skills. The increased burden of administrative time and paperwork to document milestones, however, has been unmatched by any demonstrable value for trainees or programs and, if common sense prevails, milestones will likely get swapped out for another idea or experiment. Nonetheless, it is clear that time and numbers alone should not be the only measures of residency education. Our new GME cohort. 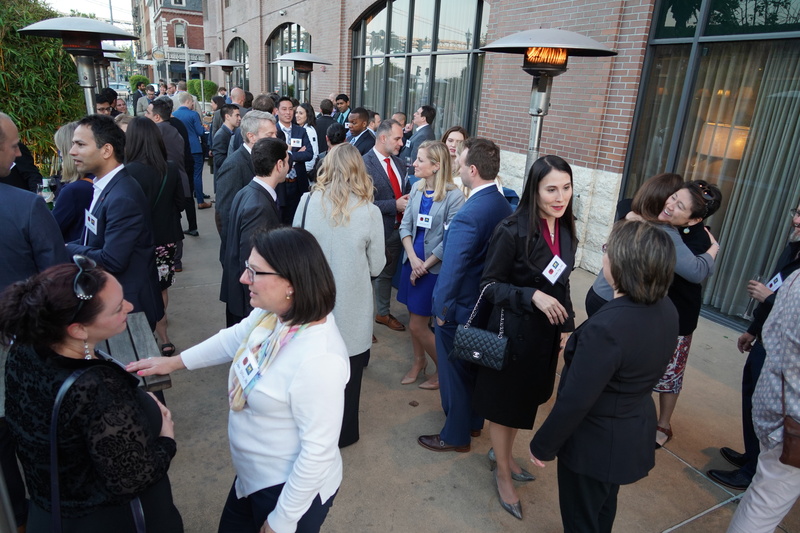 Residents Kathryn Marchetti from UM, Kyle Johnson from University of South Carolina, Javier Santiago from Baylor Medical School, and Roberto Navarrete from Wake Forest School of Medicine. 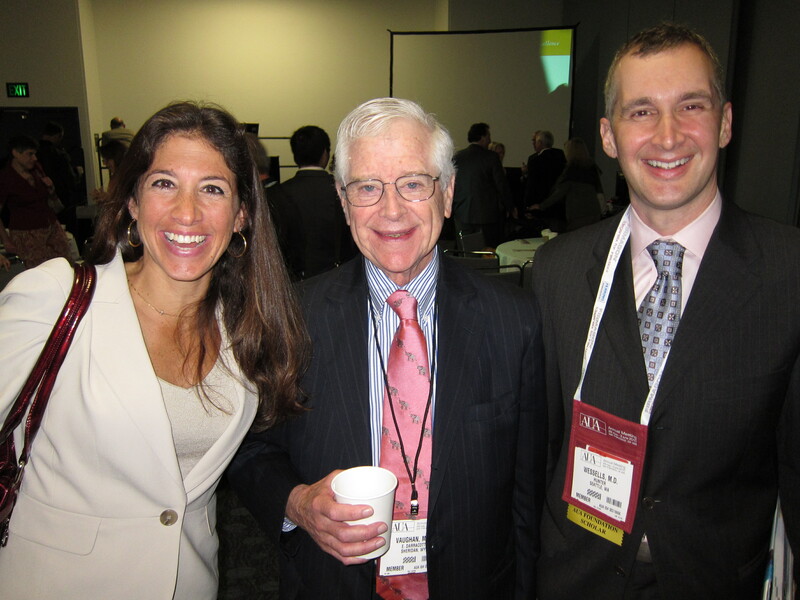 Fellows Giulia Lane from University of Minnesota (FPMRS) and Jeffrey Tosoian from Johns Hopkins Hospital (SUO). New Faculty: Bryan Sack from Boston Children’s Hospital and Courtney Streur who completes her pediatric urology fellowship both join our Pediatric Urology Division. Kristin Chrouser has joined our faculty this year from the University of Minnesota in NPR and will be mainly at the VA.
Time, curiously, has no role in baseball, the game of summertime. The sport has no relation to a clock – rather milestones of innings, runs, and outs mark the game’s progress. In this, baseball lends itself to being the ideal summer sport, unfettered by time and limited only by accumulation of three failures or “outs” and innings unless bad weather intervenes or until it gets too dark to play. 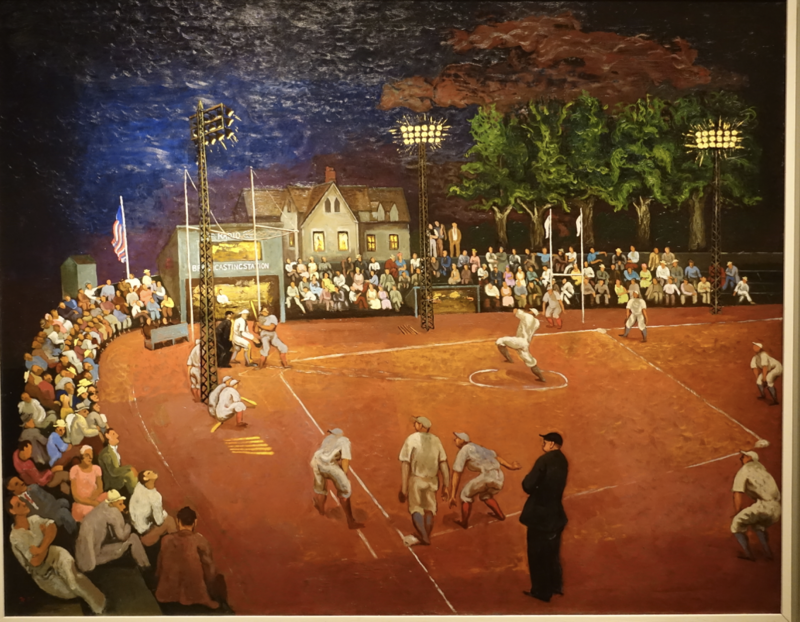 Baseball at Night, a painting by Morris Kantor on display at the Smithsonian American Art Museum in Washington, DC, shows a minor-league game in West Nyack, NY, around 1934. Stadium lighting was a rarity then, given the long days of summer when play could continue until dark, although twilight made the game tenuous. Stadium lights shifted quickly from novelty to necessity and major league teams have played deliberate night games since 1935. It’s hard to imagine baseball or any other sport without limits and rules, even if arbitrary or parochial, such as the designated hitter rule that now applies to one major league but not another. Rules matter and when different leagues play each other, they find it necessary to have rules that supervene their particular league rules. Rules create fair playing fields, allowing games to go forward and conclude peacefully. Rules are equally essential for other social activities, organizations, and governments. The USA has the Constitution and Bill of Rights. The State of Michigan has its own constitution and laws, including term limits that guarantee frequent refreshment of the state legislature, but at the expense of deep institutional knowledge of the state and its components. The University of Michigan has its Regent’s Bylaws and Standard Practice Guide, as well as Michigan Medicine’s own sets of Bylaws. In all of these we rely on consensus for decisions, achieved casually in daily operations, more formally in committees (using Robert’s Rules of Order), and more broadly by public voting. Communication skills are a pre-requisite for medical practice in both the essential transactions of direct patient care and in the complex team play of modern specialty medicine. 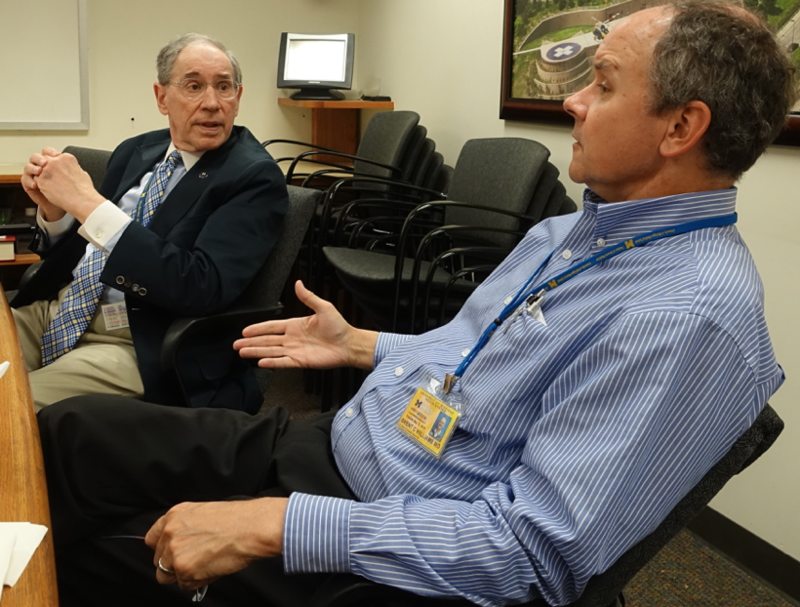 [Above in foreground, Brent Williams, Professor of Internal Medicine, communicating with Michael Giacalone, Jr., Chief Medical Officer of the Hamilton Community Health Network in Flint.] Listening, speaking, reading, and writing skills are taught with variable degrees of success in elementary schools up through college, but medical practice demands more vocabulary and capabilities. Medical students, it is said, double the size of their vocabularies. The traditional algorithm of healthcare starts with listening to the concerns of patients and then probing for additional information to construct a medical history, including relevant comorbidities and circumstances. Patients are physically examined and data is assembled into coherent narratives. Diagnosis, prognosis, and therapy derive from those stories in which authenticity and accuracy are assumed. Modern electronic systems impose new communication challenges. Email and texting are immediate and convenient, but lack the human factors of facial cues, thoughtfulness, and social grace. Electronic medical records (EMRs) constrain work flows to templates and replace human narratives with check lists, pop-up choices, keyboard entries, and cut-and-paste phrases. The actions of data entry detract from listening, looking, and communicating with patients. Healthcare processes today do not prioritize stories, and it seems to me that appreciation of the art of the story lies at the heart of excellent clinical care. It’s no great leap of faith to claim that the art of authentic storytelling and story construction is the basis of most human relations, from compelling stories around campfires to A3 storytelling in lean process engineering. Truth and authenticity matter. Listening to them and weaving them are art forms. Physician-author William Carlos Williams appeared on these pages earlier this spring and since then I’ve been thinking of the different contexts in which physicians write, and first and foremost, physicians write the stories of their patients. We pursue that greater human understanding on a daily basis, working in medicine, through stories learned and experiences gained, patient-by-patient. The dilemmas of patients are understood in terms of their stories, that must be heard, elucidated, and constructed from evidence and reasoning on the part of those who undertake the responsibility for helping. Stories are important to people, and we dignify them with our attention. Electronic medical records are poor platforms for authentic narratives. The construction of narratives in the minds of physicians and the translation to visible words in some medium is a core element of the profession of medicine, framing the response of the care-giver in terms of advice, reassurance, therapy, and prognosis. This is the central organizing feature of the doctor-patient relationship, comprising the daily shop-talk of medical practice. A story must be accurate, with true facts, but also authentic, in reflecting circumstances and co-morbidities (an economist might call these externalities) framing the “present illness” and creating a context for further conversation and therapy. In my experience, an authentic and empathetic story only fully emerges after the history, physical exam, and further discussion with patient and family. My own clinic notes were once written or dictated well-after the clinical visit when the story was relatively complete and coherent. The reduction of clinical notes to formulaic elements such as the SOAP format (subjective, objective, assessment, and plan) or the E&M format (Evaluation & Management: chief complaint, history of present illness, review of systems, etc.) fits computer entry systems nicely, but has disrupted the traditional medical work-flow that create stories. Stories suffuse all types of medical writing. Scientific writing for journals, grants, or textbooks is the bedrock of healthcare research and progress. Just as with stories of patients, this writing is predicated on accuracy, and clarity is enhanced when a meaningful story is constructed from the science. Medical journalism, another form of medical writing, communicates to the public about medical science and practice. Medical memoir is another important genre, also written for the public but usually as personal storytelling or essays. William Carlos Williams and others divert into creative reflections through prose and poetry. These writers mainly tell stories they create, often based on authentic experiences, but with “literary license.” Many of these physician-writers venture into fiction at the other end of the spectrum of medical writing, although this too requires authenticity in that stories revolve around individual experiences, conflicts, tensions, issues, and environments that are genuine to the reader’s senses. The fictions may involve other species or galaxies, as with the work of Michael Crichton, but if the stories are well-crafted they contribute to that greater authentic human understanding. To summarize medical writing variants: a.) the daily writing of clinical practice, b.) scientific writing, c.) medical journalism, d.) medical memoir, e.) creative reflections, and f.) fiction. Peaceful co-existence remained in play until a British pig, owned by Hudson’s Bay Company employee Charles Griffin, wandered onto an American farm to eat some potatoes. This wasn’t the first transgression and Lyman Cutlar, the American farmer, shot and killed the trespassing pig. Cutler’s offer of $10 compensation was refused and the British threatened to arrest him. Sixty-six American soldiers under the command of Captain George Pickett were dispatched to the island to prevent British forces from landing. The British countered, bringing three warships offshore, soon escalating to five ships, 70 guns, and 2140 men. American forces then swelled to 461 men with 14 cannons, as diplomacy failed and the dispute escalated into The Pig War. 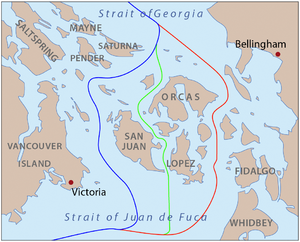 The British governor of Vancouver Island ordered Rear Admiral Robert Baynes to land his marines on San Juan Island, but Baynes wisely refused to further escalate the “squabble over a pig” and the war remained bloodless, aside from the porcine tragedy. In October, President Buchanan sent General Winfield Scott to resolve the crisis and negotiations resulted in an agreement that the British could occupy the north half and the Americans the south with each side allowed up to 100 troops pending further formal agreement. No wall was built, and in 1872, a full 13 years after the ill-fated pig, an international commission led by Kaiser Wilhelm I, decided that the entire island should fall under American control and so it remains. Robert’s world was framed by his gender and faith, but his rules have endured because they are independent of his particularities. Robert’s Rules of Order apply to almost any human gathering and, like the rules of baseball, Robert’s Rules level the playing field and allow the game to go forward. [“Historical Vignette 038 – An Army Engineer Brought Order to Church Meetings.” U.S. Army Corps of Engineers – Office of History. November 2001. Retrieved 2015-12-02.] His rules offer protocols for civilized and democratic behavior. Since then, knowledge and therapy of bladder cancer have increased by a quantum leap, although more leaps are necessary to obliterate the pain, suffering, and mortality of that disease. The day-long event, organized by Alon Weizer, featured 2 guest speakers and held an attentive audience that topped 50, with excellent talks and superb discussions. 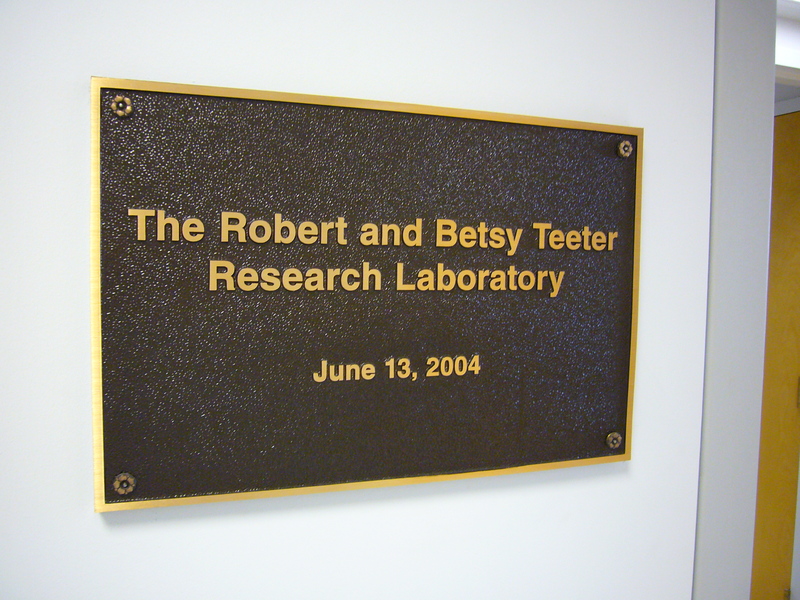 The event fulfills one of the items on my bucket list as department chair and honored not just Bob and his surgeon Jim Montie, but also some generous gifts for laboratory investigation that we gained after Bob passed away. 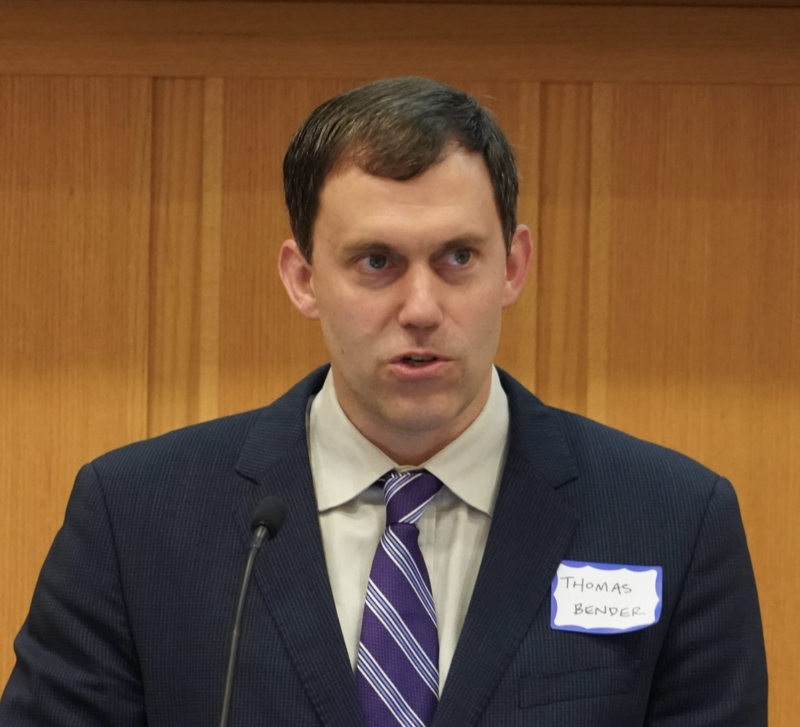 The first guest lecturer, Thomas Bender, MD, PhD (above) from Dow Chemical, spoke about the Health Hazard Evaluation Program for former employees of a chemical plant that had been closed in 2002, but Dow later acquired its parent company, Morton, in 2009. As I sat in the audience, wondering how to link this month’s Matula Thoughts to the Teeter Symposium, Dr. Bender said a magic word: Paterson. That’s where the chemical plant had been since 1929. Paterson, New Jersey, was the home of William Carlos Williams. The next invited speaker, Elizabeth Plimack MD, MS, Chief of Genitourinary Medical Oncology at Fox Chase Cancer Center, grew up in Ann Arbor. 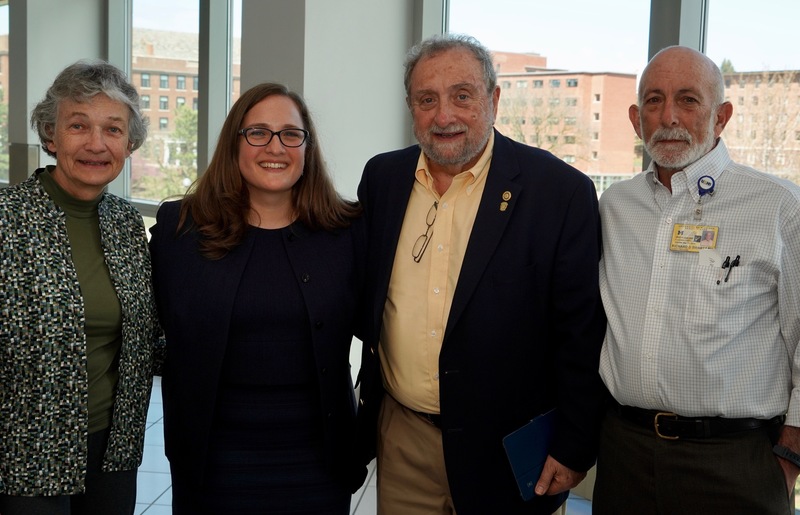 Her parents and mentor Richard Swartz were on hand to hear her excellent talk Immunotherapy and Beyond. 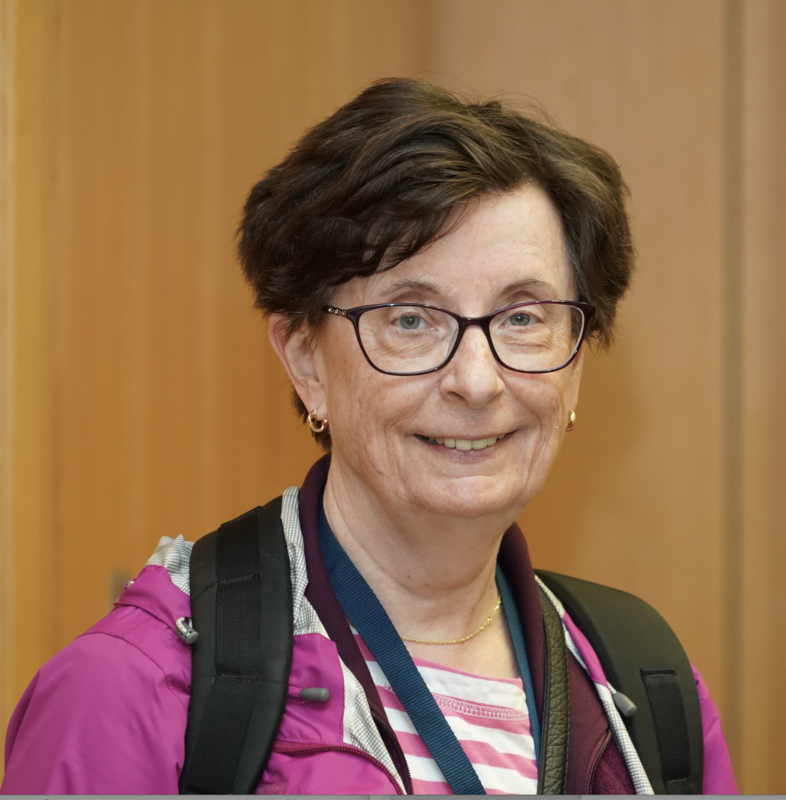 In attendance was Monica Liebert (Nesbit 1984 below), now retired, but still working in our laboratories. Monica developed many bladder cancer cell lines in her heyday and these are still utilized in our research efforts. 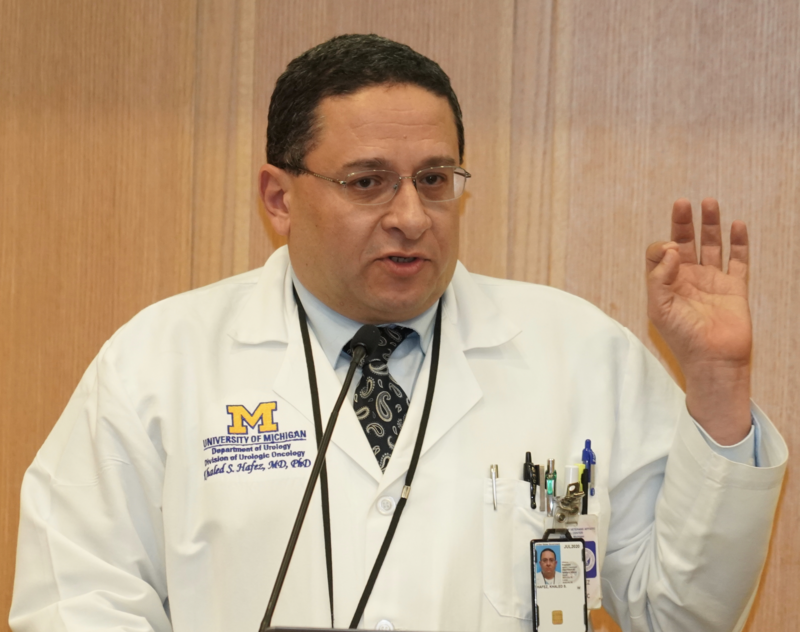 Our own Khaled Hafez (below, Nesbit 2004) closed the event with a superb talk on Clinical Management of Patients with Locally Advanced Bladder Cancer, a topic close to his heart and emblematic of his skill set, as he is surely one of the best in the world at this craft. 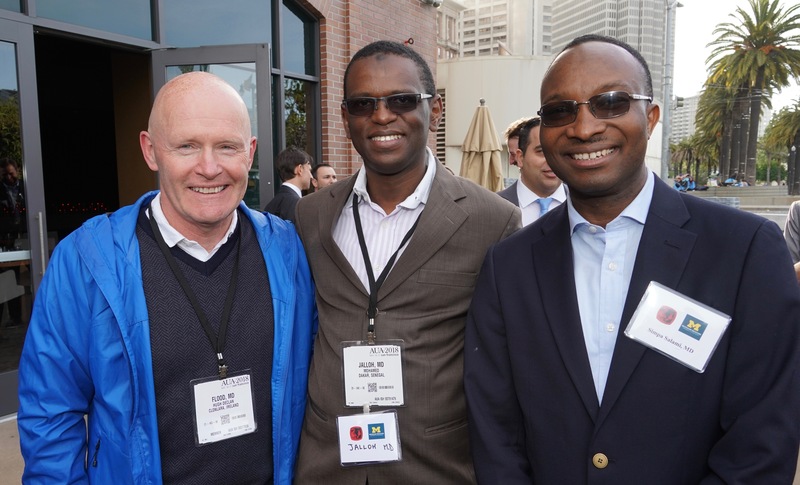 The AUA annual meeting last month in San Francisco featured the usual strong Michigan presence. 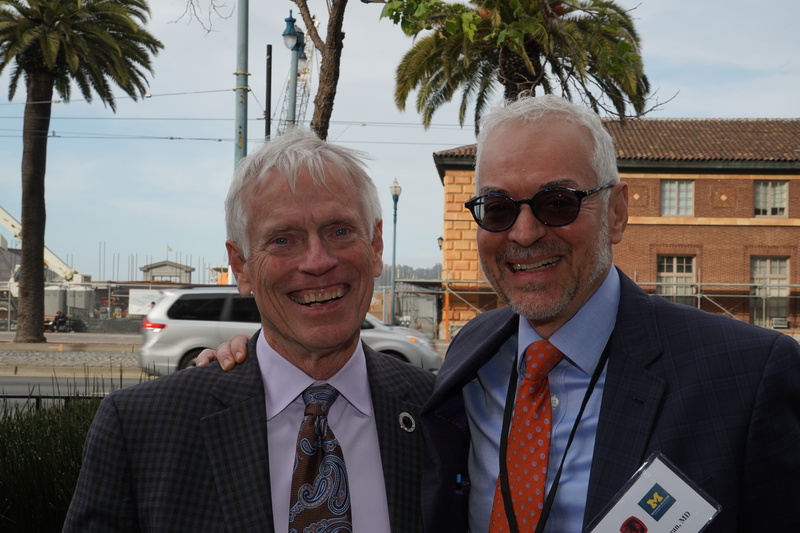 San Francisco was also the site in 2010 where the picture of our inaugural chair, Jim Montie (Faculty Nesbit 1995), was taken. In addition to turning over a very strong group of faculty and department, in 2007 when the current departmental administration began, Jim turned over a positive team culture, rather than a “me-me-me” culture. 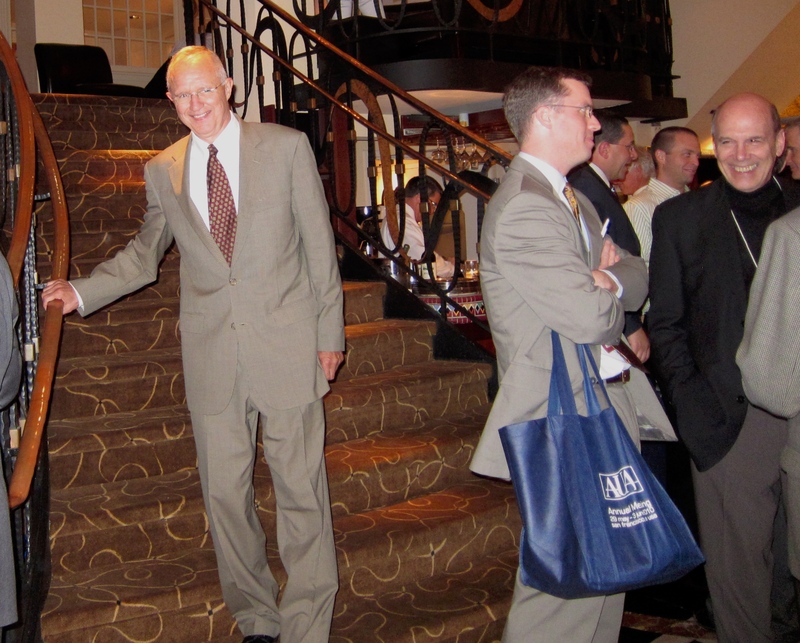 Jim not only remained relevant to the department, but remains a keen participant and a role model of leadership. 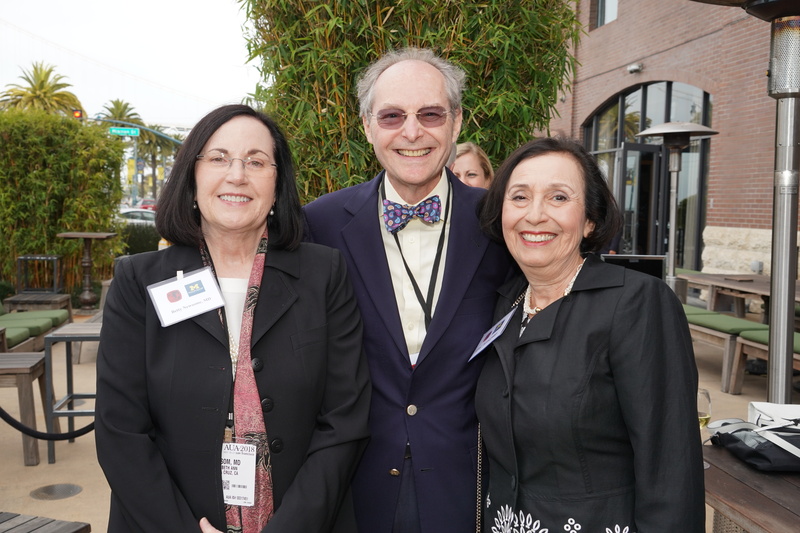 Looking through those 2010 Nesbit reception pictures, I found a picture of the late and truly great Cornell Urology Chair, Darracott Vaughan, flanked by Jennifer Anger of UCLA and Hunter Wessells, chair at the University of Washington in Seattle (below). But now back to 2018. 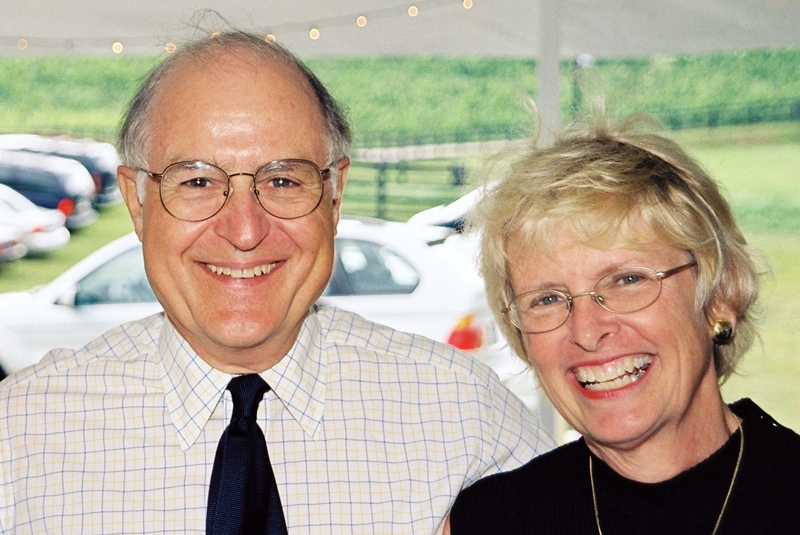 Above: Emilie Johnson, Nesbit 2011, with her iconic mentor from Boston, Alan Retik. Below: Julian Wan, Nesbit 1990, at one of his podium appearances, knocking it out of the park. 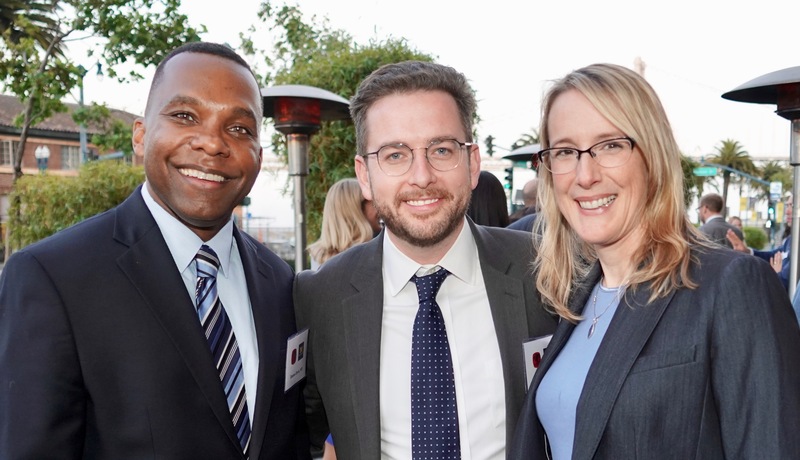 The Nesbit reception this year at the Hotel Vitale on Mission Street hosted around 100 alumni, friends, and current team of the Urology Department. Below, a partial view of the crowd. 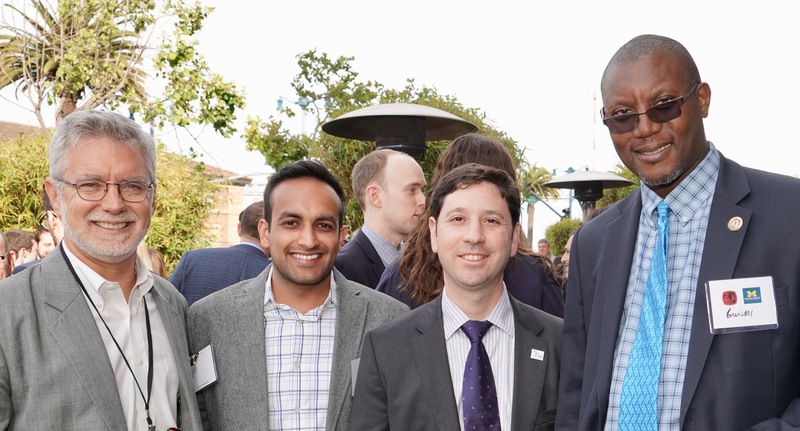 [Above: Stu Wolf, Faculty Nesbit 1996, now in Austin, Udit Singhal PGY 2, Alon Weizer Faculty Nesbit 2005, Bunmi Olapade-Olaopa Nesbit, 2000. Below; Betty Newsom, Nesbit 1990, Bart and Amy Grossman, Nesbit 1977. So, it seems medical care today has tight boundaries of time and information. Boundaries for nations, sports, politics, education, business, are important, but some are more important than others. The Pig War, a foolish dispute, easily could have escalated to bloodshed, leaving us no Robert’s Rules. Rules and boundaries in sports allow games to proceed fairly and end peacefully. Some boundaries in health care are tight and timeless, as evidenced in the Hippocratic Oath or as shamefully dishonored by occasional bad actors. The constraints of the EHR are self-inflicted wounds of the business of medicine, and should be viewed with minor contempt and never honored at the expense of a patient. Baseball, timeless as it is, nonetheless must be somewhat mindful of the clock. Some fans may have babysitters, while transportation drivers and other workers are paid by the hour. The number of pitches thrown is a clock of a sort. Still, the essence of the game is indifferent to time. The same is true for conversations with patients. Life and schedules are much easier when each patient’s visit goes according to clockwork precision, but the essential transaction of the crucial conversations not infrequently runs afoul of anticipated timed encounters. These conversations are unique in the human repertoire and can have the most profound implications. Skilled clinicians know when and how to diplomatically crowd the later patients, run through lunch, or regroup with an expansive patient later in the day or soon thereafter. Such is the art of medicine. 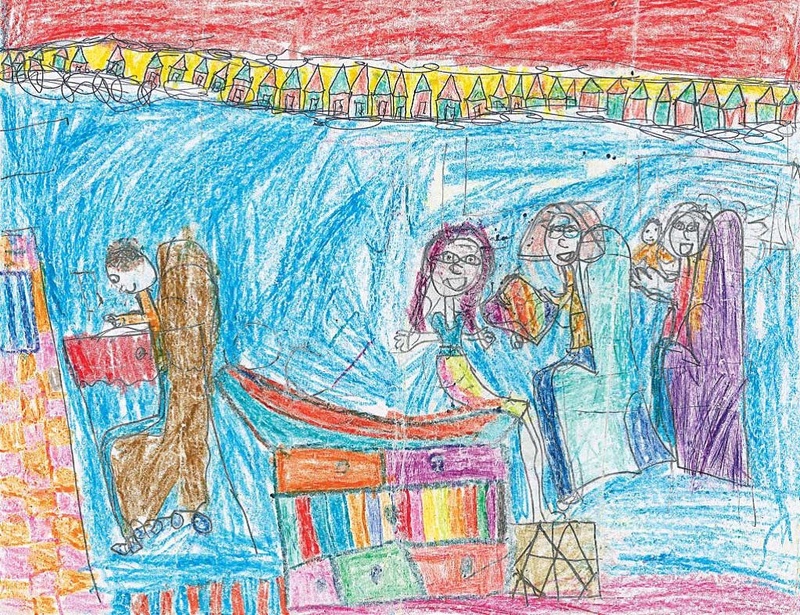 Thanks for reading Matula Thoughts this June, 2018. Just as all procedures are not equal, neither are all clinic visits the same, although less disparity pertains. One new patient visit may be fairly straightforward with discovery of a simple problem defined as ICD-10 code X and perhaps a distinct solution proposed in the form of CPT code Y. If such simplicity had pertained for all my patients and clinics over the years, life would have been easier although less interesting. Some clinic visits are especially challenging, taking deep concentration and probing examinations and conversations that are not always easy. Occasional clinic encounters are excruciating, with unwilling kids, angry parents, painful social circumstances, and no clear solutions. Yet even these complex occasions are gifts of a sort in that they test our mettle and make the other encounters, by contrast, satisfying and sweet. Most of us understand the need to steward resources, standardize work as much as possible, and create efficiencies to meet payrolls and manage our mission at large. However, a sharp focus on clinical throughput, with standardized 15-minute encounters and checklists that must be obeyed, runs counter to our values, counter to patient satisfaction, and counter to the excellence we espouse. Still, our eyes stray to clocks on the walls, (although it is a mystery why they are so often wrong) or watches on our wrists, the latter being easier to consult unobtrusively than cell phones and are more accurate than those wall clocks. In health care, the concept that time is money applies across all nations and health care systems. In corporate U.S. health care, clinic visits are set in many places at 15 minutes of “face time” with physician, nurse practitioner, or PA. In the NHS of the United Kingdom 10 minutes is a common standard. In third world countries, any such face time might be a rare occasion unless you have cash in hand. Facilities and staff cost money and health care expenses need to be covered by some source, so it seems rational to measure and ration time as well as physical commodities. Facing off against such reality, however, is the nearly universal belief that health care is a natural human right and that its best delivered at the individual level by professions (and, now, teams of professionals). Martín de Azpilcueta (1491-1586), pictured above, was an early member of this important school of thought. 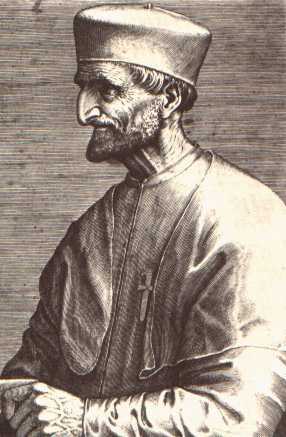 This Basque canonist and theologian was an innovator of monetarist theory and it was he who allegedly conceptualized the time value of money in the sense that the present value (PV) of a sum of money equals its future value (FV) given a specified rate of return (r) divided by 1 plus r. That is if the Department of Urology gives the University of Michigan Clinical Enterprise $1,000,000 for new capital projects and assumes a rate of return of 7% (the typical interest rate for a savings account in days not so long past) then the FV at 10 years will be $1,700,000, assuming the original sum and the yearly interest returns remain intact. In other words, a million dollars today if invested in those circumstances could be worth 1.7 million dollars in 10 years. Of course, this is not quite as good as that historic savings account at 7% where the interest was compounded annually, in which case the future value at 10 years would be a little over $1,967,000. That is the difference between an annuity and a savings account. 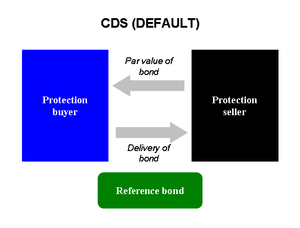 Darwinian forces have propelled financial markets to increasingly creative and complex devices, such as credit default swaps that gained recent attention in the film The Big Short, or the more recent contingent convertible bond (CoCo) that exchanges risk for the ability to suspend payment, convert the bond into equity, or write it off totally. This is the innate paradox of academic medicine: since clinical revenue sustains the enterprise, every part of the day diverted to education, research, and administration is costly, lacking proportionate revenue. Nevertheless, education, research, and their administration are essential to our mission. For a healthy academic clinical department these other parts of the mission consume a minimum of 20% of a clinician’s effort and the ability to support those efforts comes from endowment, institutional support, and the overachievement of clinical faculty in terms of clinical productivity. Five. Time piece manufacturing came to Ann Arbor 150 years ago when Donald J. Mozart moved here just after the stockholders of the MoZart Watch Company in Providence, Rhode Island fired him as superintendent. 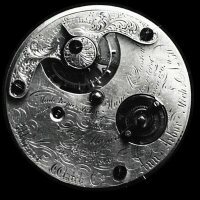 Mozart’s three-wheel watch had proven unsuccessful and the new superintendent replaced Mozart’s design with a conventional movement and renamed the firm the New York Watch Company. Mozart improved his 3-wheel design in Ann Arbor, but was able to produce only about 30 movements before closing up operations four years later in 1870. He sold the manufacturing equipment to the Rock Island Watch Company for $40,000 cash plus $25,000 in stock and gave away the existing watches to stockholders and friends. One of these was recently sold at auction in NY [Introductory illustration & below: Bonhams Auction 21971 12 June 2014 Lot #1128 A very rare gold filled open face ‘chronometer-lever escapement’ watch Signed Don J. Mozart Patent Dec. 24, 1868. US$ 20,000-25,000]. Mozart was still living in Ann Arbor as of May 14, 1873 when he filed a patent from here, but died four years later in 1877 and was buried at Forest Hill Cemetery (as was Rensis Likert, discussed last month on these pages). Stories, however, are getting bypassed in modern healthcare. With the systematic tendency to measure service in terms of time and time in terms of money, today’s electronic health care record systems force stories into checklists. Listening to stories is harder than filling out checklists. While these tendencies chip away at our ancient profession we can fight the trend. When we make a choice to listen, as Hugh advocates, clinical medicine becomes an art. We health care professionals revel in science. Scientific ways of thinking have brought us a verifiable understanding of life, health, and illness as well as new technologies to enhance health and mitigate disease. Yet as Farrar tells it, science is not enough. History, social contexts, and values must always frame the science, as well as inspire and deploy it. In the consilience of human knowledge, as EO Wilson explains, science is but one facet of the art of Homo sapiens. Eight. 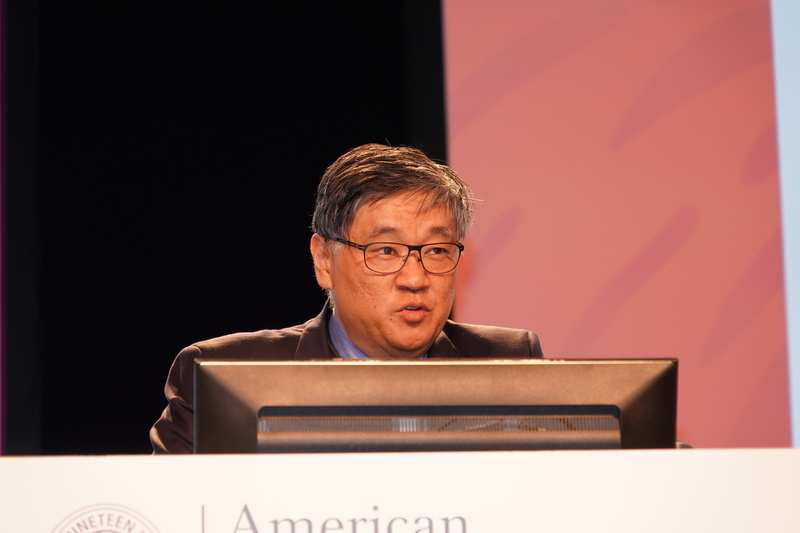 Chang Lecture on Art & Medicine. In 2007 our Department of Urology began an annual lecture in honor of the family of Dr. Cheng-Yang Chang, an esteemed Nesbit Alumnus who joined our faculty when Urology was a small section of the Surgery Department. Dr. Chang was our first faculty member to focus on pediatric urology. Coincidentally, his father was a highly acclaimed artist in China during its turbulent mid-Twentieth Century years. A number of his paintings are housed in the University of Michigan Art Museum where you can also visit the Shirley Chang Wing, named in honor of Dr. Chang’s late wife. The couple had two sons. Ted Chang, a University of Michigan and Nesbit alumnus like his dad, practices urology in Albany New York. Ted is a first class urologist and educator. Hamilton Chang, a fellow UM man, is an investment banker in Chicago, a leader in Michigan’s alumni organizations and a cornerstone of our urology fundraising efforts. 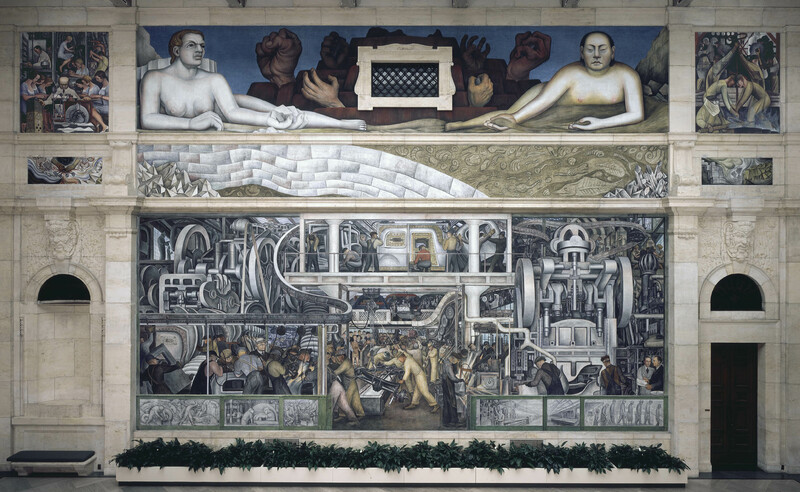 This year’s Chang Lecture will be given by Don Nakayama, a pediatric surgeon and expert on the Diego Rivera Murals you can find at the Detroit Institute of Art. The Surgery Panel on the upper left hand corner of the south wall has been described by art historians as “brain surgery,” but after personal investigation Don discovered that the art historians were not quite right, anatomically. The actual panel, in fact, depicts an orchiectomy, an operative procedure far more in tune with Rivera’s theme, as a committed socialist, of the emasculated worker. Don discussed this in a paper in The Pharos, [Summer 2014, p. 8]. If you plan to visit the Ann Arbor Art Fairs this July, consider setting aside an hour to join us at the Chang Lecture on Tuesday, July 21 at 5 PM in the UM Hospital Ford Auditorium. 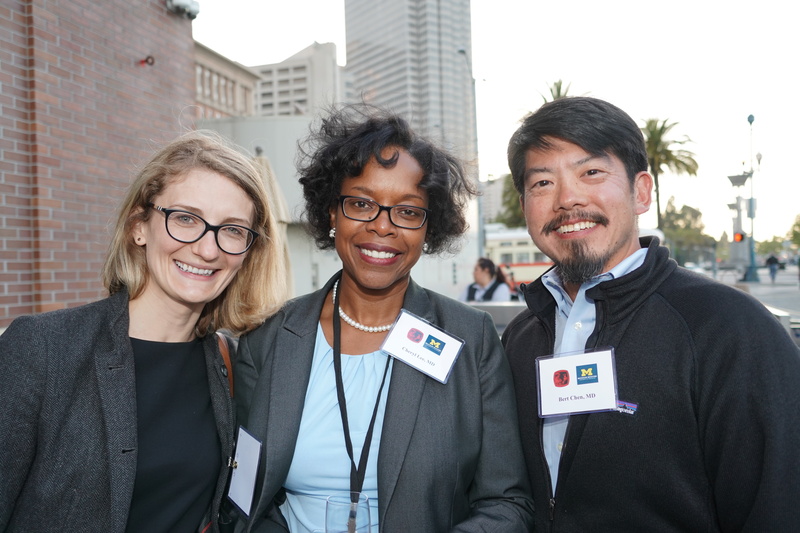 You can hear Dr. Nakayama, meet him at a reception after the talk, collect some CME credits if you are a physician, and have your parking ticket stamped. Not a bad deal, I submit. The dark side of the dismal science was evident in another current film – The Big Short. I’d read the book by Michael Lewis, who showed in lucid detail how the housing and credit bubble collapse in 2008, known also as the subprime mortgage crisis, was predicted. This catastrophe quickly expanded into a major stall of the world economy, that is still under repair. The astonishing thing is that the prediction was not made by economists, the big banks, the big accounting firms, universities, Nobel Laureates, bond rating companies, regulatory agencies, or “the market” itself. The prediction was made by an oddball physician who analyzed publicly available data and discovered the “obvious” flaw in complex mortgage securities. Astonishingly, none of the experts was so smart and the sad, sad reality is that none of them was doing their job competently. This story begs the question: how can so many smart people be so dumb? It’s an astonishing story and a very cautionary tale of reliance on experts. If course we have to trust experts, but we also have to verify that trust constantly in real time, by listening to diverse and even oddball opinions and insisting upon honest broker regulation and competition. The physician who figured this out was Michael Burry, a UCLA economics graduate, Vanderbilt MD, and Stanford neurology resident. His main interest, however, was investing and even as a resident had acquired a reputation for success in value investing. 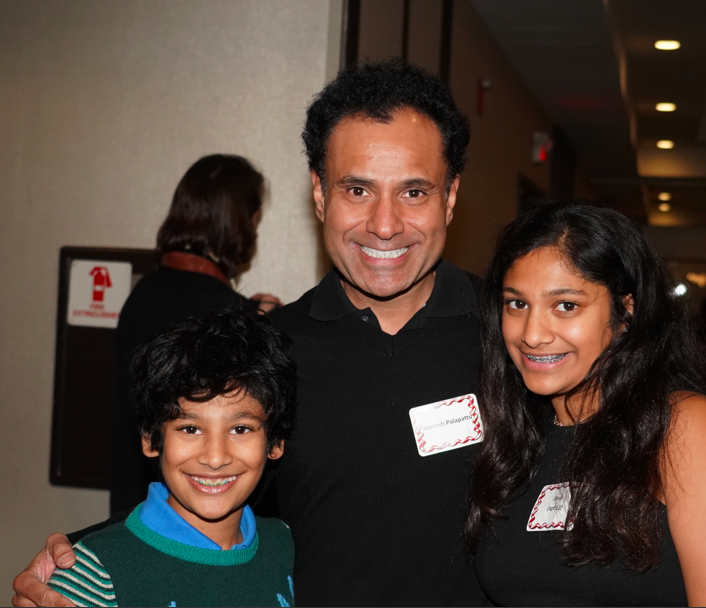 He left residency to invest full-time and in November 2000 he started Scion Capital. As Lewis told the story, in the first full year of Scion when the S&P 500 fell 11. 88%, Scion’s fund was up 55%. This was no Bernie Madoff effect, the Scion success was real, verifiable, and durable. Value investing is based on the idea of buying an asset that appears underpriced according to an analysis of some sort. The analysis may recognize some fundamental flaw in the current price of the asset based on historical factors, operational data related to the company, information about its market and competitors, or expectations concerning the future. In some ways this is a complex extension of the thinking of Martín de Azpilcueta. Burry extended the idea by betting against the future value of money through an insurance mechanism called the credit default swap. Burry was not looking for “a short” rather was actually seeking good long term bets. In 2005, however, his analysis of national lending practices in 2003 and 2004 indicated to him that a subprime mortgage bubble would collapse in 2007. He persuaded Goldman Sachs to sell him credit default swaps against certain subprime deals. The rest is history, as well as excellent cinematography. Ten. March, now that we are a few days into it, has its own stories. March 1 is the meteorological beginning of spring, although that may not be so apparent here in Ann Arbor. March 20/21 is the astronomical beginning of spring in the Northern Hemisphere or autumn in the Southern. The month is named for the Roman God of War, Mars, who was also the guardian of agriculture. This was an odd conjunction since it is not immediately apparent that the pursuits of war and of agriculture are similar. On the other hand, if you believe that the best defense is a strong offense, the idea makes some sense and in Roman times the month Martius marked a new season of farming and military campaigns. In addition to competence on the land and in battle, legend also ascribed to Mars some competence in the urological sense, as his relationship with the Vestal Virgin, Rhea Silvia, produced twin boys, Romulus and Remus, the mythical founders of the city of Rome. Even beyond the reproductive outcome, Mars was generally viewed as a paragon of virility, with no issues of low testosterone. Martius was the start of the Roman yearly calendar until as late as 153 BC. Russia held on to this start date to the end of the 15th century, and Great Britain and its colonies (even us in America) used March 25 as the beginning of the calendar year until 1752 when the Gregorian calendar was adopted. March is American Red Cross Month. March 13 marks the shift to Daylight Savings Time. Ben Franklin has been claimed as originator of daylight savings time, but in fact the solid proposal came from George Vernon Hudson who died 70 years ago (5 April 1946). Born in London he moved to New Zealand with his father and became a respected amateur entomologist and astronomer. His daytime job in Wellington as post office clerk gave him time after work to study and collect insects. It was said that this was the impetus for his idea to maximize daylight in winter times. In 1895 he gave a paper at the Wellington Philosophical Society proposing a 2-hour daylight savings time shift. 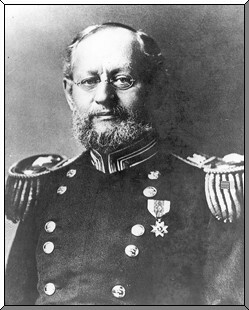 Hudson was a member of the 1907 Sub-Antarctic Islands Scientific Expedition. The daylight savings idea was slow to catch on and New Zealand’s Summertime Act wasn’t passed until 1927. 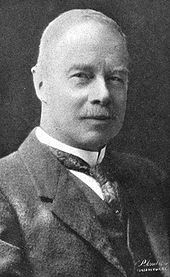 Daylight savings occurred later to another Briton, home builder William Willett (1856-1915). Riding his horse one summer morning he observed many household’s blinds still drawn, indicating the inhabitants were still asleep and missing much of the day. He began to advocate for an official way to extend daylight and the British Summer Time became law in 1916, although Willett died just before it went into effect. (Trivia: Willett’s great-great-grandson is Chris Martin of the band Coldplay.) Today, daylight savings time methods are utilized throughout much of the world. If March came in like a lion we hope it exits sheepishly after a bit of collegiate athletic madness. We also will be having a departmental retreat at the end of the month. Before closing out this message, let me return briefly to Ben Franklin, printer, inventor, author, postmaster, diplomat, and urethral catheter expert. In 1752 he designed a flexible silver catheter for his brother John who was suffering from bladder calculi and it is likely that, living to age 84, Ben used it himself. Thanks for reading What’s New and Matula Thoughts.